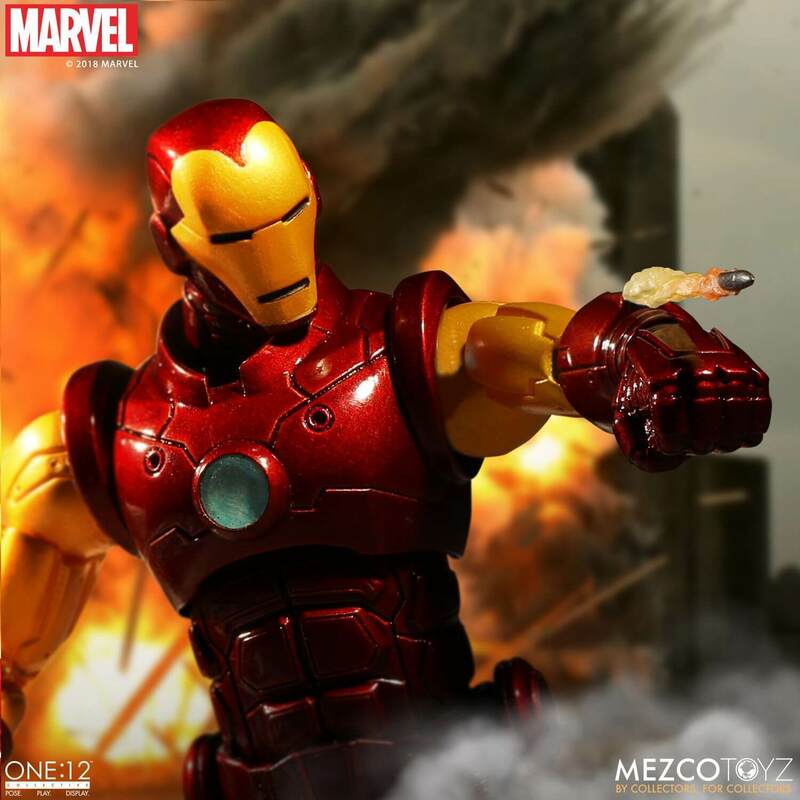 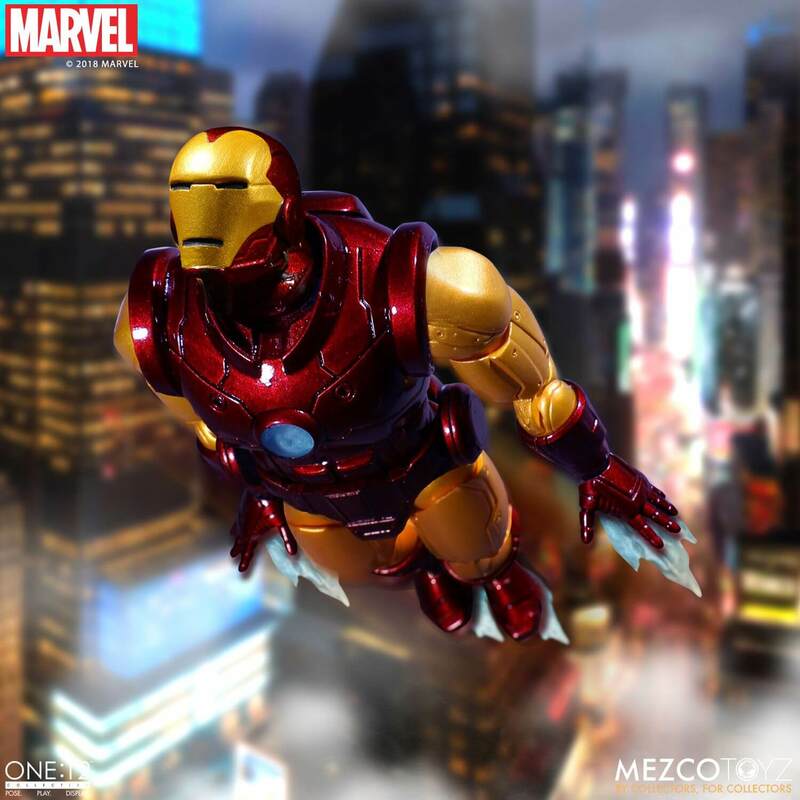 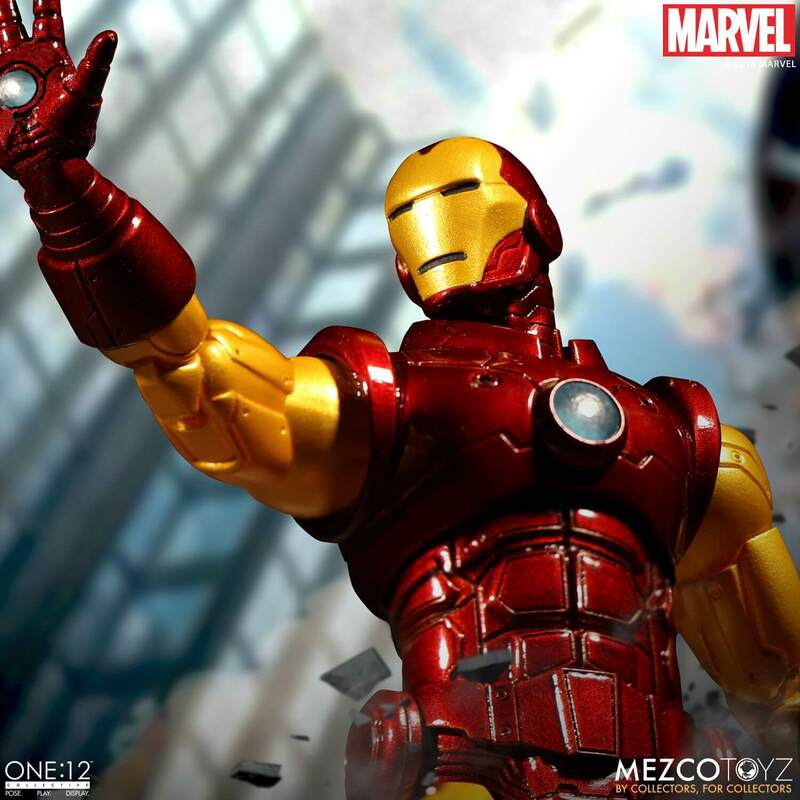 The One:12 Collective Iron Man features a new One:12 body specifically created for this figure. 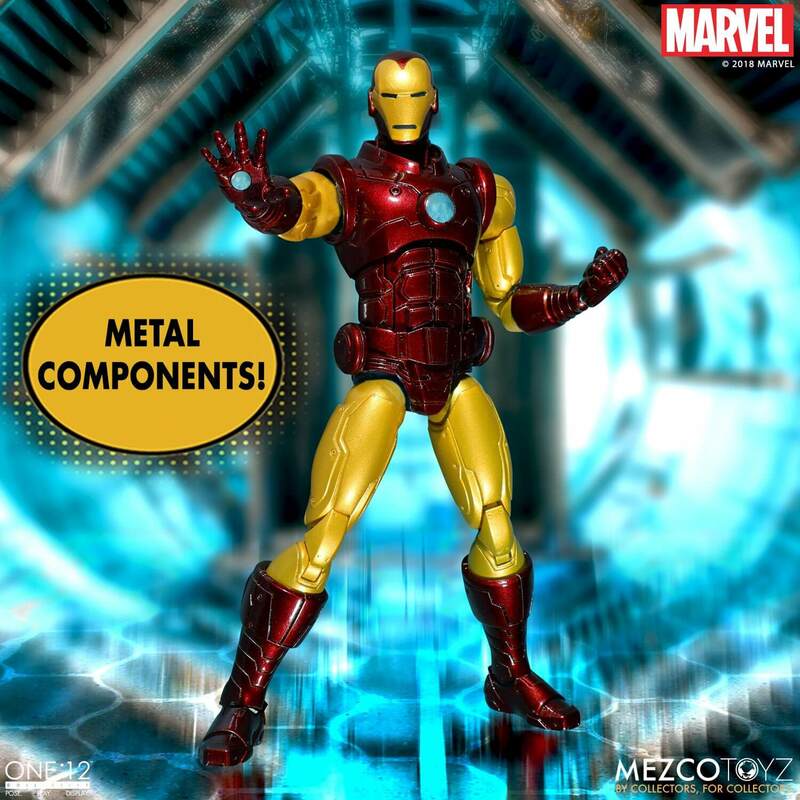 Designed with real metal components and light up arc reactor. 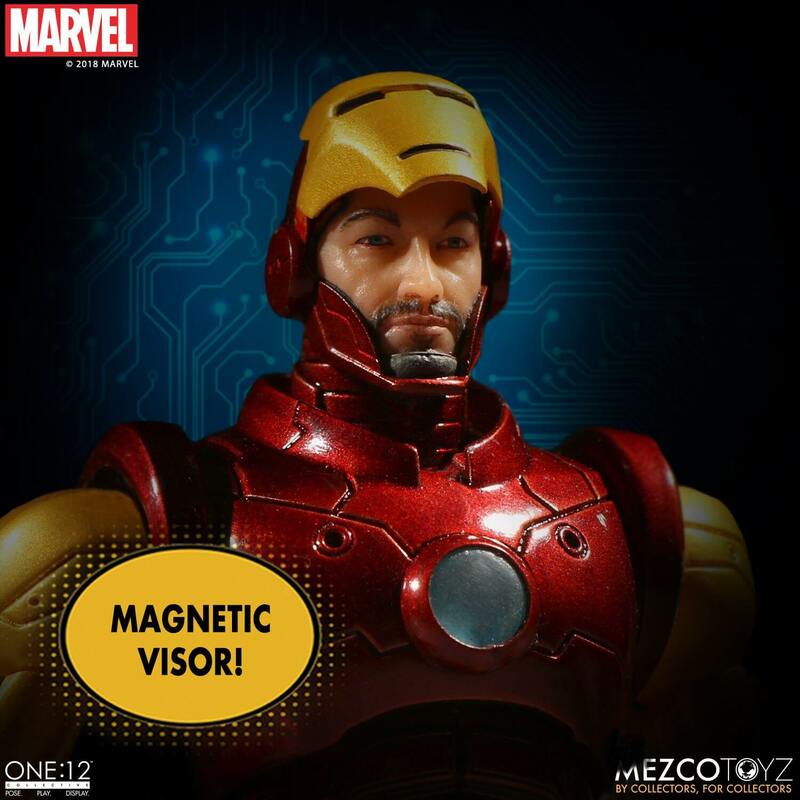 The face-plate can be worn in the standard closed position or opened to reveal the face of billionaire Tony Stark. 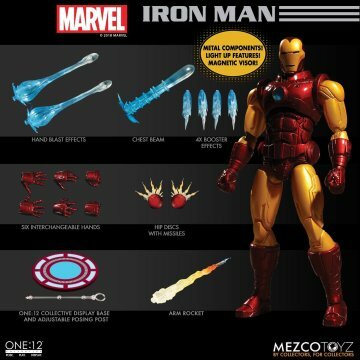 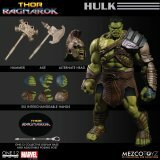 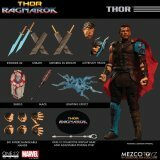 The figure also comes with an array of blast effects, as well as gauntlet rockets and hip rockets that can be interchanged with his hip discs. 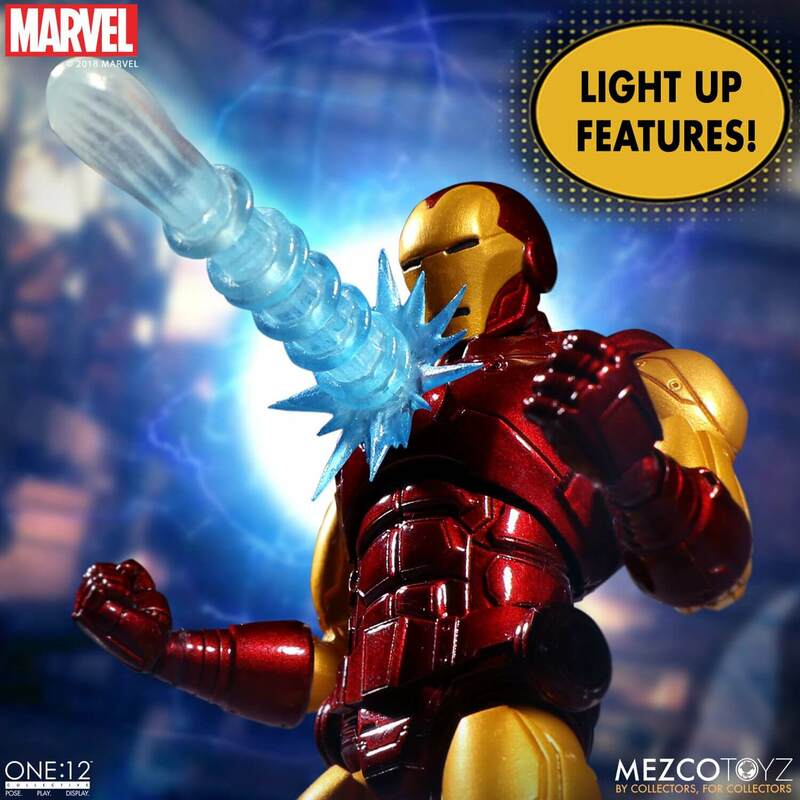 His signature arc reactor, the source of Iron Man’s power, has a light up feature (battery included). 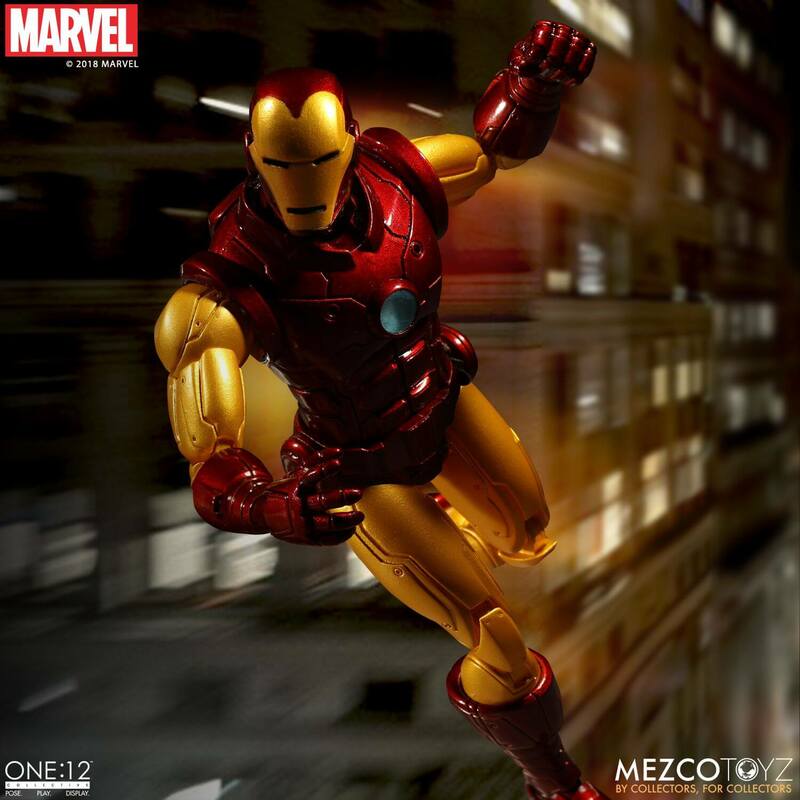 Iron Man, the secret identity of Tony Stark, blasts his way into the One:12 Collective. 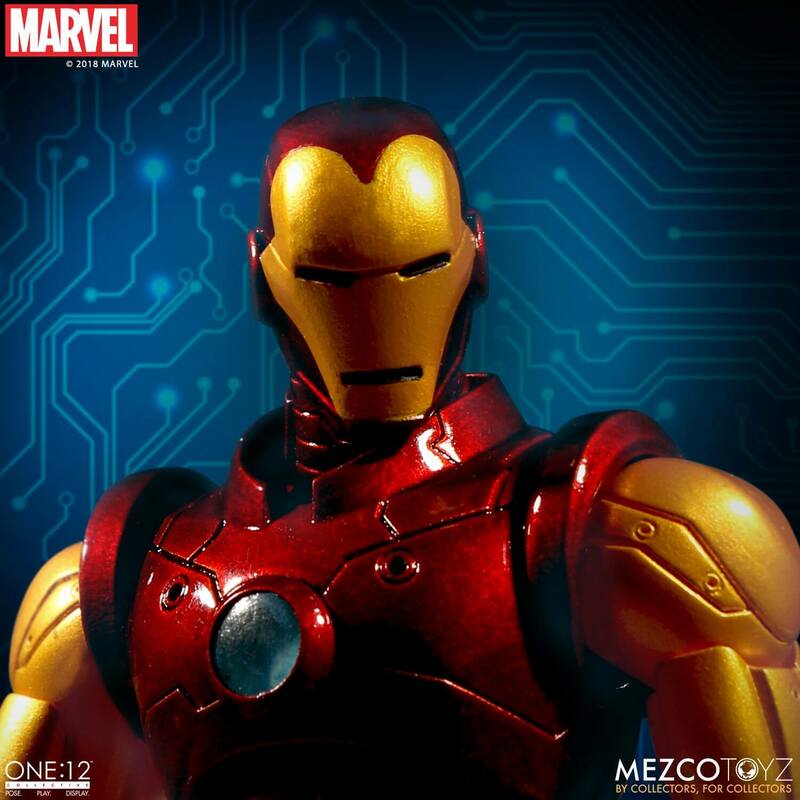 Billionaire inventor and arms manufacturer, Tony Stark, suffers a severe chest injury while being held captive by enemy forces. 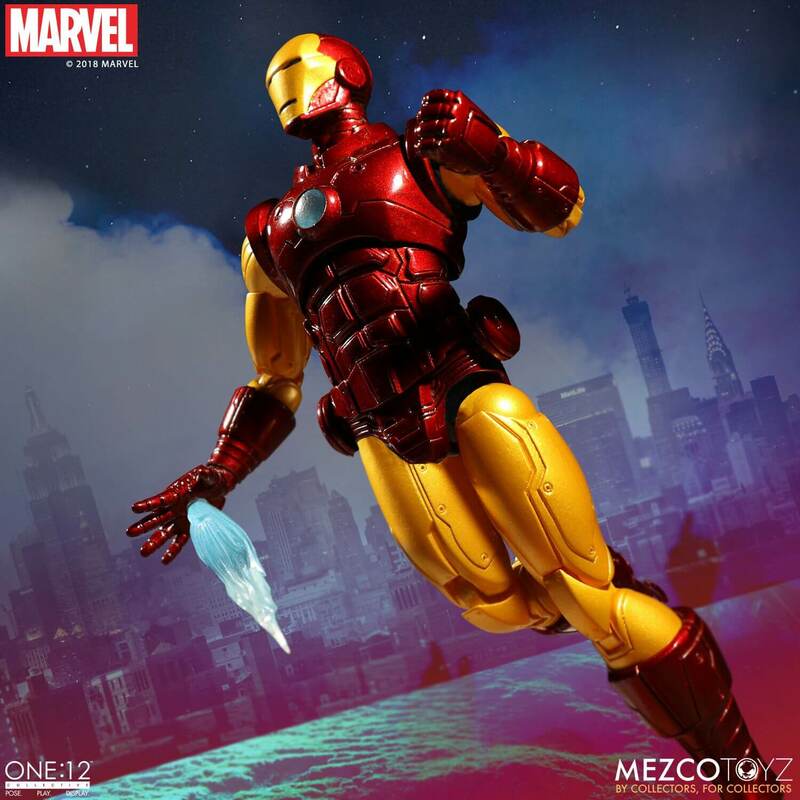 Stark is forced to build a weapon of mass destruction, but instead creates a powered suit of armor that keeps his damaged heart beating and helps him escape captivity. 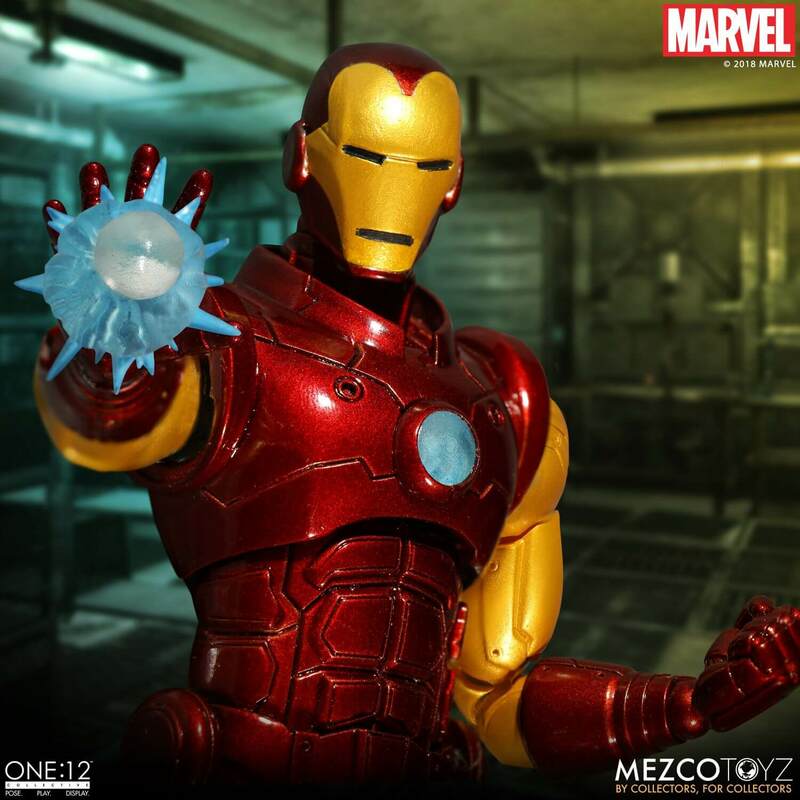 Later, Stark augments his suit with weapons and other high-tech devices at his company, Stark Industries; and creates the suit to protect the world as Iron Man. 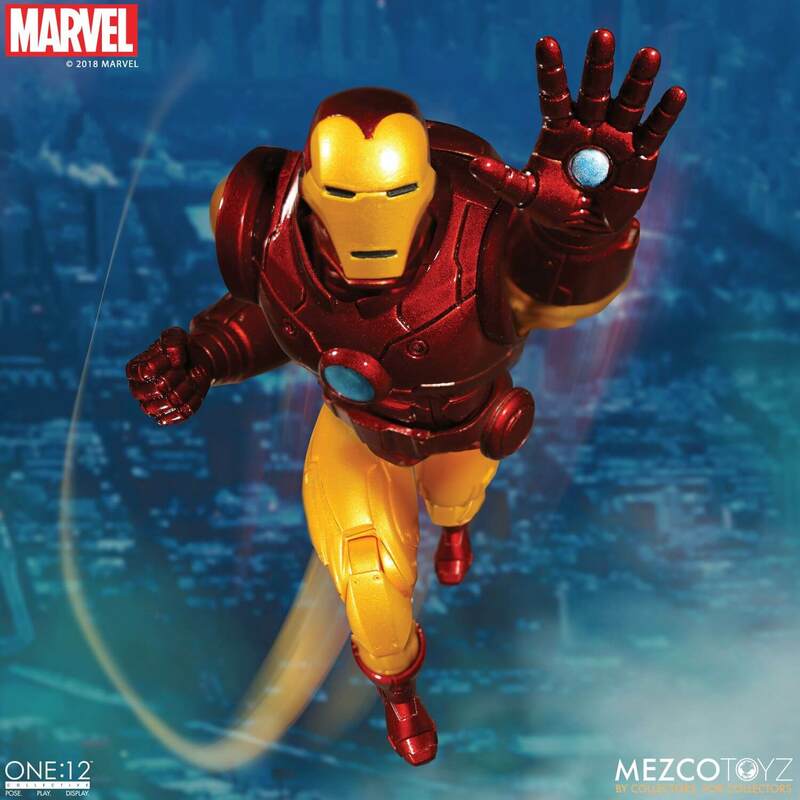 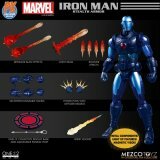  Each One:12 Collective Iron Man figure is packaged in a collector friendly box, designed with collectors in mind there are no twist ties for easy in and out of package display.